1. For the soup base – prepare the soup from dried anchovies or kelp (sea vegetables) It would be nice to prepare the soup base prior the cooking and let it sit in refrigerator. 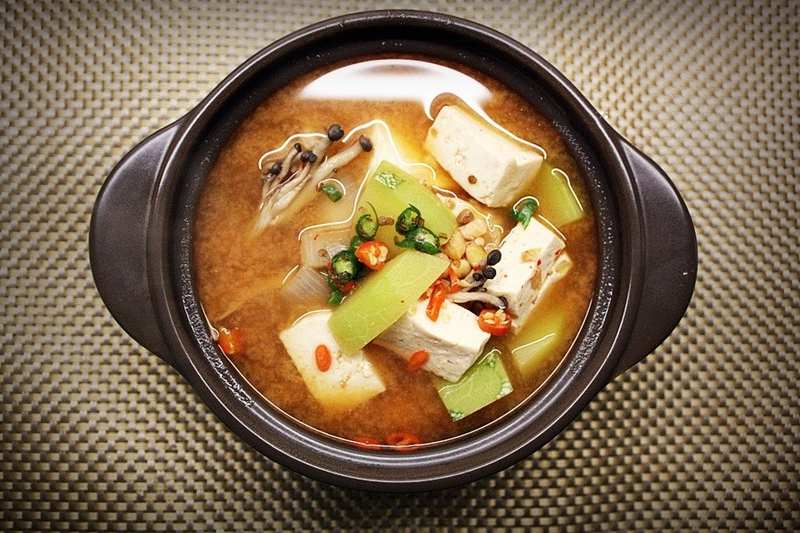 See recipe of dried anchovy soup stock from the seaweed soup. 2. Boil the soup in pot , put the all cut up prepared vegetable, onion, mushroom, hot peppers, squash. 4. Lastly add more sliced peppers on top so the color looks nice. 6. Bring it to quick boil after the sea salt.